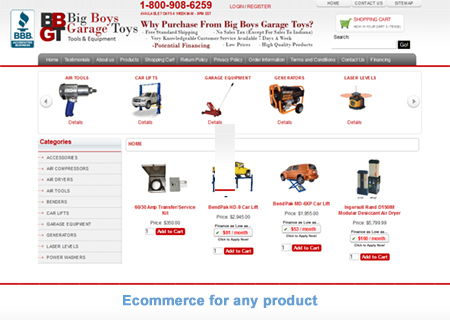 Online Stores for Every Business Size. Responsive Ecommerce. We Help You Sell! 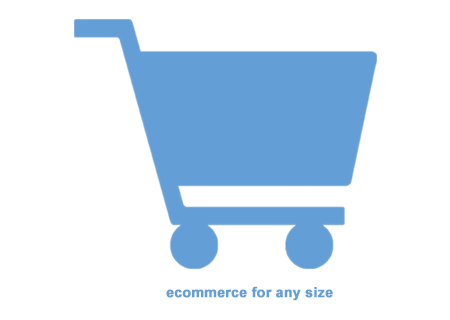 Our ecommerce solutions are vast. Whether you’re just getting started, you’re upgrading your online store, or are a seasoned online store operator we can help. Every solution is tailored to your specific goals. Whatever level of ecommerce you start with, it’s scaleable. From 1 to 1 Million products. It doesn’t matter. We hone your ecommerce solution to your specific needs…and you can upgrade at any time! We design your online store, make sure it has the features on it that you want, setup your products for sale, traing you on using it, and provide support. That’s the full service ecommerce treatment we provide. You may be part of an industry, but we know that no two businesses are the same. That’s why every online store is custom designed to provide the perfect display of your brand and products for sale. Our Creative, Your Decisions. Every store is built to please you, the online operator.